So, I say live by the spirit and you will not gratify the desires of the sinful nature. For the sinful nature desires what is contrary to the spirit and the spirit what is contrary to the sinful nature. They are in conflict with each other so that you do not do what you want. Wow, that sounds like the sinful nature is alive and well, doesn't it? The problem is that the original translators of the NIV made some interpretive decisions in their translation that have led to a misunderstanding. The old version of the New International Version translates the Greek word sarx into English as "sinful nature" 23 times. Every time you see "sinful nature" in the New International Version it is the word sarx, without exception. But the word sarx means "flesh"! If Paul had wanted to say "sinful nature," he would have said that. He didn't. The simple answer is the Bible doesn't tell you not to live by the sinful nature. The Bible tells you not to live according to the flesh—which is a completely different thing! What is "flesh"? It is living life out of our own resources (our mind, will, emotions, experience, heritage, etc.) instead of relying on the Holy Spirit. It is living independently instead of dependently. Relying on the patterns we have perfected over the years that protect us and provide comfort, outside of Christ. In other words, living by the flesh is living merely out of our natural, physical abilities rather than in Christ. That's the battle. Do we live in our own strength or out of Christ's strength in us? Jesus, give me the wisdom to recognize my flesh as my foe! By the power of Your Word and the counsel of Your Holy Spirit, teach me more about this physical opponent in which I live, so that I can be led by Your Spirit and live free from the oppression of the law! Amen. Get equipped to speak up for truth in our troubled culture. 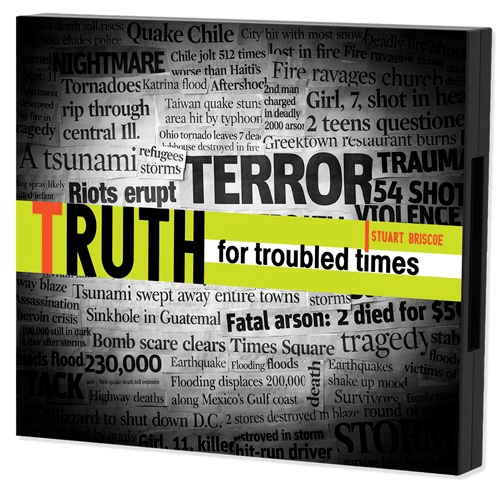 Request your copy of Stuart Briscoe’s 5-message CD series, Truth for Troubled Times. It’s our gift to thank you for your donation – which will be doubled by a Matching Grant – to help Telling the Truth reach our $400,000 financial year-end goal!